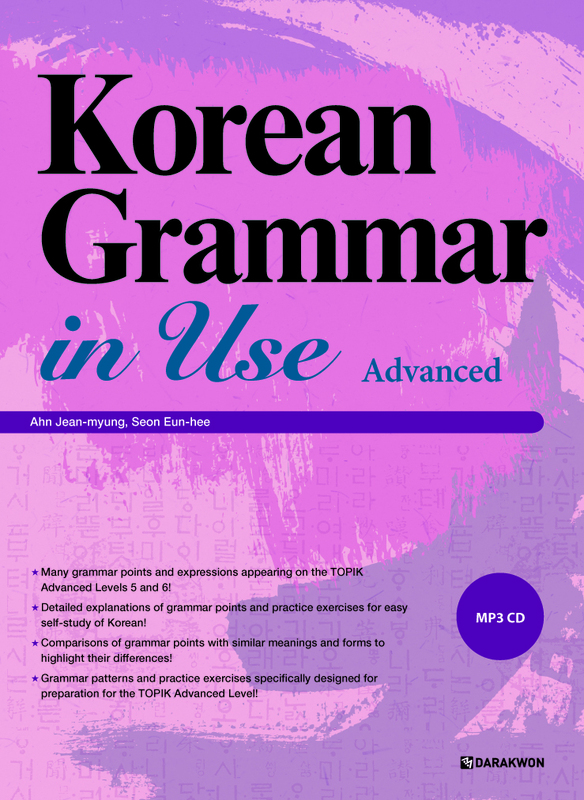 - Include activities to illustrate how the target grammar points are used in specific situations. - Add practice exercises to help learners prepare to take the increasingly popular TOPIK exam. 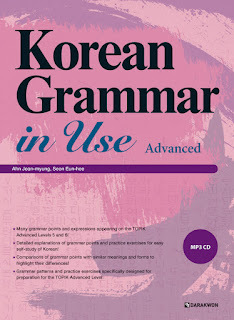 Keywords: Korean Grammar in Use: Advanced PDF, Korean Grammar in Use: Advanced download, Korean Grammar in Use Advanced ebook. The audio is now available. I TRY TO DOWNLOAD BUT I CANT. PLESE, GIVE ME SOME ADVICE. the ebook link is alive. try to switch your browser (firefox or chrome) or clear its cache and try to download again. Right click on the download link to open a new tab. Wait for 5 seconds, then click 'skip ads'. Then with one more click you can download the ebook or audio file. the links are not dead. they are still working well. I'm getting an error when I try to download the audio files. What can I do? The link is still working. try to use another browser or clear your browser cache before downloading again. CAn you provide me with the answer key part? The pages between 360 to 390 are skipped. Sure. Please wait for a while. yeah. I read this book and found that the page 36,37 are also skipped. ^^ Anyways, thank you for your share. 이 책은 저에게 정말 도움이 된 것 같습니다. 한국말을 아무리 노력해도 말은 자연스럽게 못 하는데 이 책 덕분에 모르는 표현을 배울 수도 있고 듣기 부분도 연습할 수 있어서 고맙습니다. missing pages are fixed and answer keys are also added. 잛은 시간에는 고쳐 주셔서 너무 감사합니다. 그런데 이 책을 읽다가 40,41, 44,45 52,53 페이지도 빠져 있습니다. 시간이 나면 좀 고쳐 주시면 안 됩니까? 누락된 페이지가 다 수정되었어요. 즌거운 하루 되세요. I am sorry that it is difficult to provide other links. Since the files are still downloadable, please try other browser to download. hi, do you do a online version of this just like you did for the intermediate lessons?